PUPILS are starting businesses at their schools! Meraki is a business owned by two pupils at a Catholic school for girls in Parktown, Joburg. Since March this year, they have been customising letters and numbers on smart devices. Gugulethu Ngwenyama and Amohelang “Amo” Molefi, both grade 10 pupils at McAuley House, own Meraki. General manager Amo said that many elderly people find their work helpful since their eyesight is poor. She wants to own and run multiple companies in 10 years. There were nine school finalists selected from across Mzansi and Meraki came top in this year’s annual JA South Africa Company of the Year contest. JA’s Enterprise and Entrepreneurship Academy’s programmes encourage pupils in grades 10 to 12 to start businesses after school. Teams representing schools from each of the nine provinces pitched their business plans to a judges’ panel filled with business owners and professionals. Before the big presentation, the teams attended two days of mentorship workshops to refine business ideas and improve their problem solving, leadership and presentation skills. Judgement was based on business idea clarity, ability to think critically, understanding of basic business principles as well as the sustainability and relevance of the product or service to social responsibility. The JA organisation has partnered with a leading global bank, Citi, to help operate the programmes. 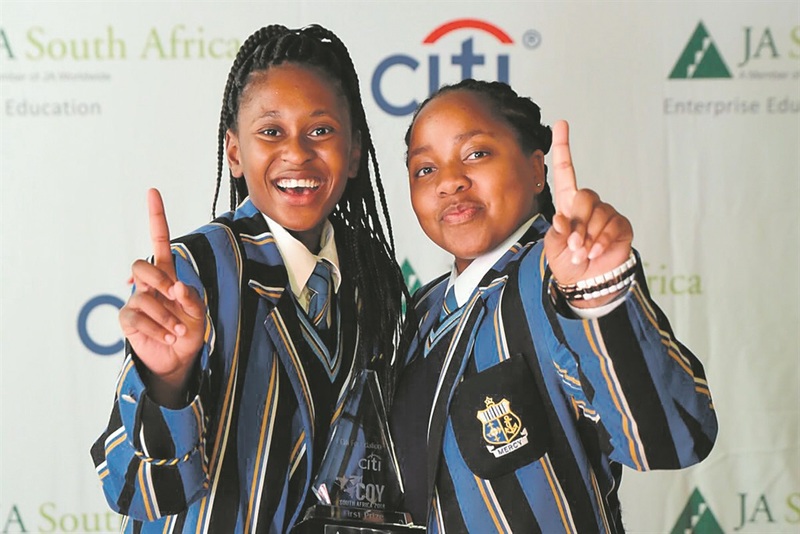 Nelly said Meraki not only won the competition but they also got trophies, a R5 000 cash prize for their school and flights to Ghana to represent Mzansi in JA Africa Regional Company of the Year competition in December.